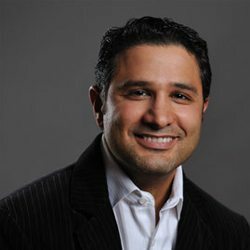 Dr. Omid Termechi is a leading practitioner, educator and innovator in implant dentistry. With offices in Astoria and Long Island, he provides the full range of general, implant and cosmetic dentistry services. Both offices are equipped with state-of-the-art dental chairs and technology such as low-radiation X-Rays and 3D CT scanners. Using minimally invasive pain-free procedures, Dr. Termechi restores smiles and works closely with his patients to help them maintain their dental health. Dr. Termechi received his D.D.S from the New York University College of Dentistry in 1998. He completed General Practice Residency programs at the Interfaith Medical Center and at the Kingsbrook Jewish Medical Center, both in Brooklyn, NY. He also completed a two-year, full-time Fellowship in Oral Implantology and Biomaterials at the Brookdale Hospital Medical Center in Brooklyn, NY.